If your business operates multiple vehicles, you’re missing out on valuable marketing outreach by leaving them plain and unbranded. 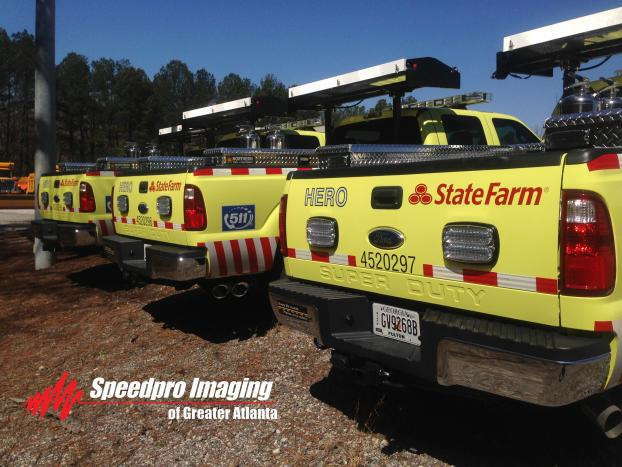 That’s where we come in, as SpeedPro Imaging North Palm Beach can tackle custom fleet wraps! We’re well-versed in the large format graphics industry, and we have years of experience helping local businesses in Palm Beach, Jupiter, the Treasure Coast and other surrounding areas. Advertising on vehicles is an increasingly popular trend, so why not take that trend to the next level? 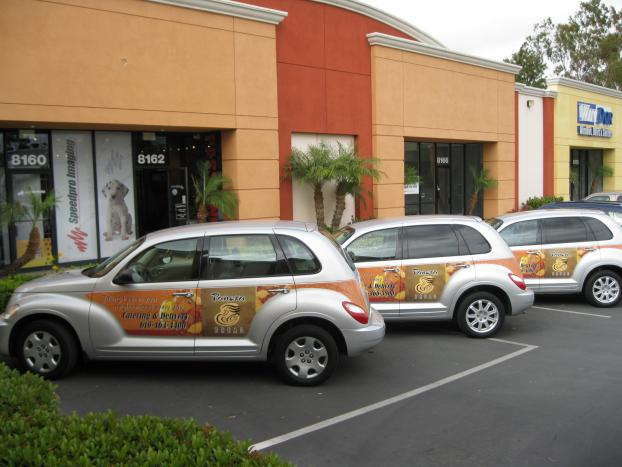 Studies show that just one vehicle wrap can generate between 30,000 and 70,000 impressions per day, so multiply those numbers by the number of vehicles you operate. Investing in well-designed wraps can drastically increase your exposure. These custom fleet wraps don’t even have to be in motion, as their mere presence will grab eyes and drive interest — even from a parking lot. And while wrapping a whole fleet of vehicles might sound daunting financially, they actually represent one of the best ROIs in the marketing world. The cost per 1,000 impressions is $0.70, which easily trumps other popular mediums like television, radio and newspapers. We offer full wraps, partial wraps, decals, window films and more, all of which are created using a large range of materials. We’ll consult with you to learn all of your needs, which allows us to make accurate and appropriate recommendations. Full wraps command the attention of all drivers who happen by them, as the graphics can cover nearly every piece of any vehicle. Partial wraps coat one particular side or area, which helps with cost-efficiency. Our decals can range from simple lettering to intricate logos, and window films can offer one-way vision to maintain image solidarity while allowing for proper vision. With all of your materials, our long-life inks and laminates will keep your images crisp and colorful for years. As we approach the final steps, we can use our predicative software to lay your design out on a virtual template. With this tool, you’ll be able to offer valuable feedback, and we’ll be able to fix any potential issues before printing the wraps. Installation will be done one vehicle at a time, and we’ll work closely with you to arrange convenient scheduling so that the job is done quickly and efficiently. No matter what your deadline is, we’ll work to try to meet it. Vehicle fleet wraps are extensive projects that require expertise and patience, and we have both! Contact us today to schedule your consultation. Our studio is located in Stuart on Southwest Ellipse Way just off of Route 76 near Florida’s Turnpike, and you’re welcome to stop by in person too.